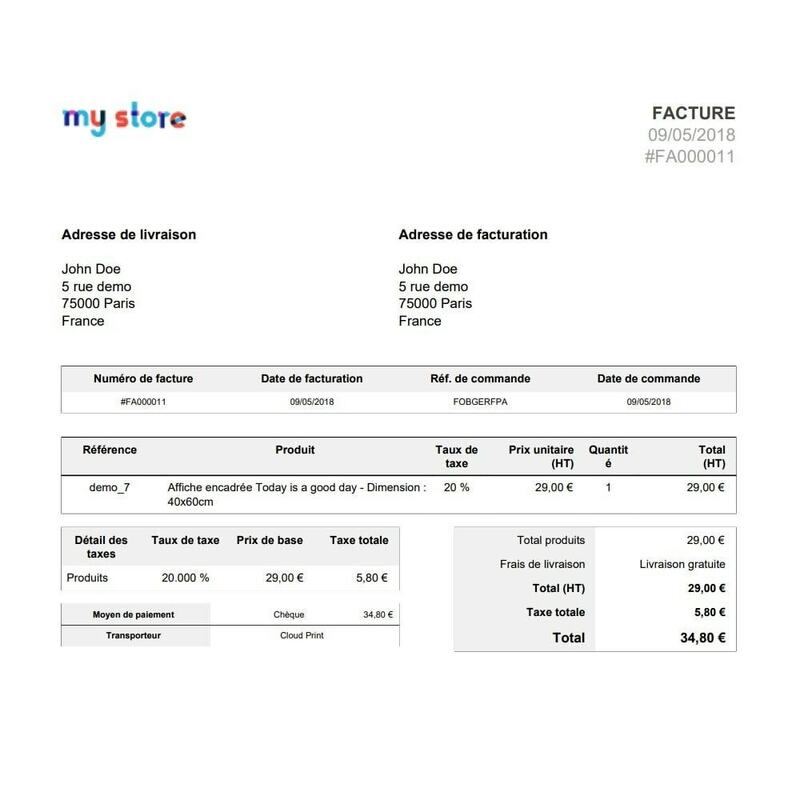 No more need to log in every day to your back office to print your orders, they will be printed automatically! Imagine what a few minutes gained each day represent after a year! 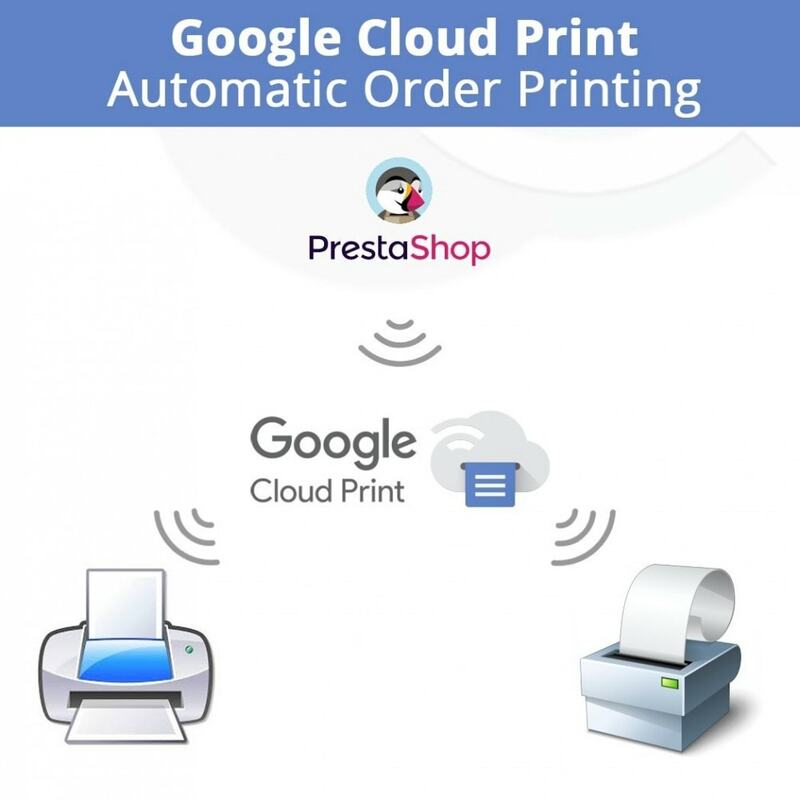 This module connects your online store with your printer using Google Cloud Print to automatically print your invoice and / or delivery note as soon as a new order is registered in the system. 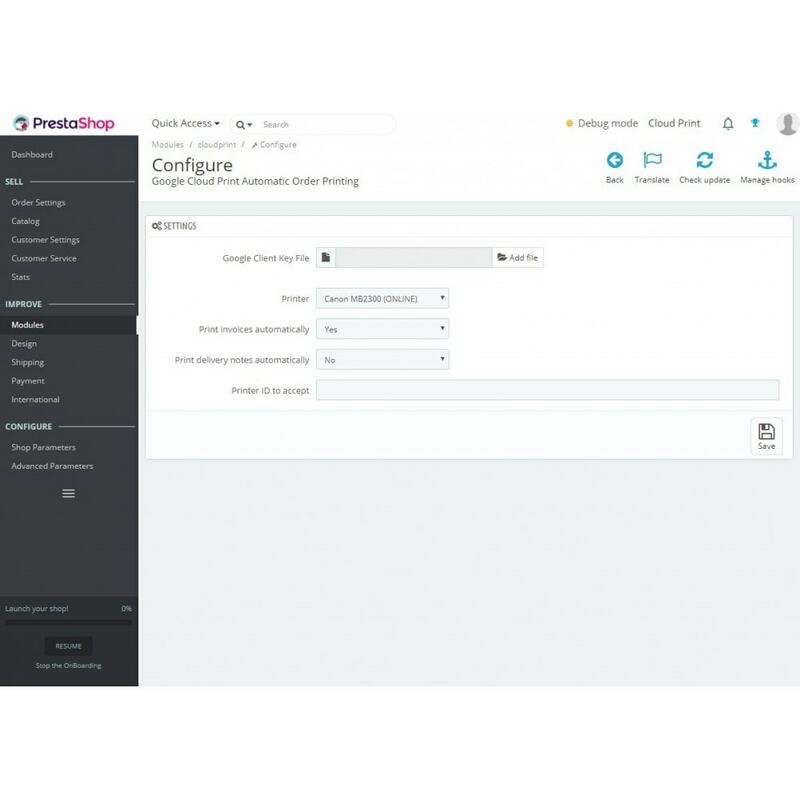 No more manual intervention, the whole printing part is done automatically. At night and day, your printer will launch immediately after the validation of a new order and the editing of an invoice or a delivery note. Whether you're in the office or on the road, your bills will automatically come out of your printer with every order. Place the button add to cart on product list to directly add product from the product list in the expected quantity, without going to the product list. Compatible with all Market Place (Amazon, Cdiscount, Price Minister, La Redoute, etc.). Prints only Prestashop delivery notes and not those of Market Places. Compatible with inkjet printers and thermal printers as long as they have Google Cloud Print functionality (inquire before purchasing). Requires a Google Cloud Print compatible printer. HTTPS (SSL) security certificate required. This module requires you to set up a "Service Account Key" in your "Google Developers Console" account and share your printer with this new account. This procedure is explained in detail in the documentation provided with the module. Display weight on product page. Weight is updated in real time with combination, quantity and initial weight.